Monday, I submitted my very first picture at Foodgawker and amazingly I got accepted. Since then I got accepted for another one but declined for 3. If you are a food blogger, you will understand it is a big deal, and you get some proud of having your pictures on such a website. Like you, I have my work, my 2 kids and everything else that involves, my husband and the blog. In a few days, it will be just 3 months that I am blogging but I have already learnt so much. I wear different hats: the IT girl, the cook, the food stylist, the photographer and PR girl. It is not always easy or perfect but I am having fun and it is what counts, isn’t it? Today, I want to share a recipe that is so easy, fresh and flavorful. Tomatoes are not in season yet but as soon as it will, buy local from your farmer and enjoy a perfect side dish! Did you feel the sun on your skin? Fresh and juicy veggies tasting like heaven… Be brave… Spring is shy but let’s hope it is to save our energy for the crazy summer coming up! 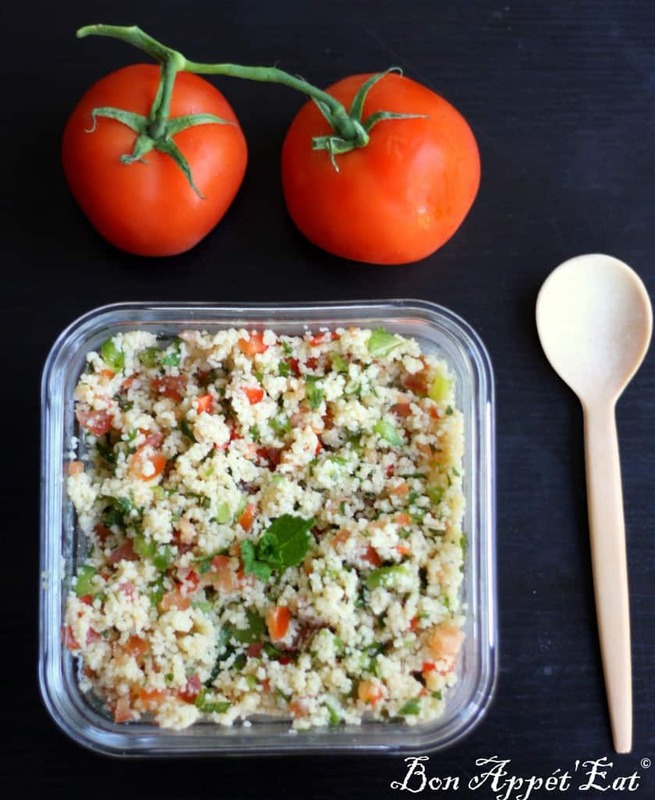 - Put the couscous in a bowl and add the water. Stir well, let it cook alone and let it cool down. - Cut in julienne the tomatoes and the different peppers. Add it to the couscous and toss well. - Chop the mint and add the olive oil little by little and toss well. Depending on your taste, you might want to add another spoon or so of olive oil. - Add some salt to taste. Hidden veggies in tomato sauce! Congratulations on your huge accomplishment! 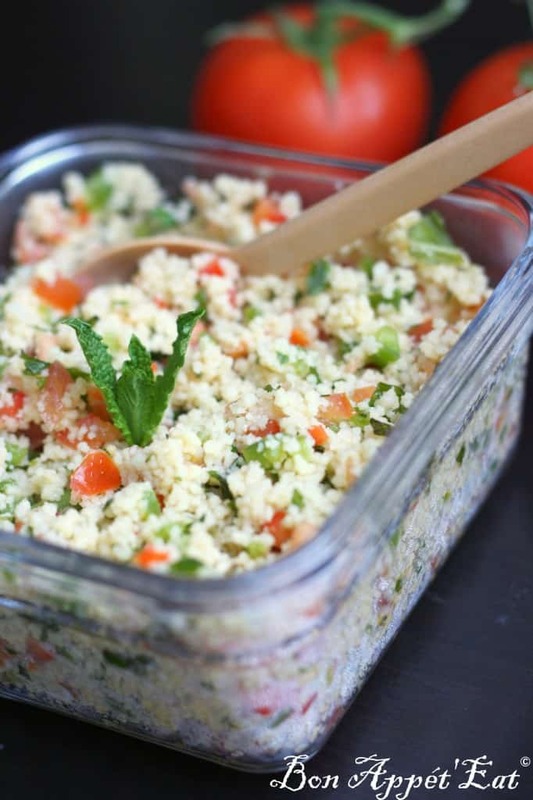 I love fresh tabouleh it is so fresh and fabulous to have year round! Hi girls, I just saw that message, it was with my spams!! thank you for your message! I am very exited too! Congrats! I remember the first photo of mine that they accepted… after refusing about 100!!! Just keep at it and it happens 😉 This salad looks perfect ♥ Thanks for sharing!